The Association of Universities and Colleges of Canada launched an online directory of aboriginal programs and courses last week, a step it hopes will increase the number of aboriginal students on campuses nationwide. “It’s a good start. Everything is done online now,” says Rob Wilmot, a first-year engineering student at Dalhousie University. In addition to listing programs offered, the directory gives statistics about the number of staff and students who identify as aboriginal at each school and what support services are available. It includes information on financial services, social events and the availability of elders in the area. 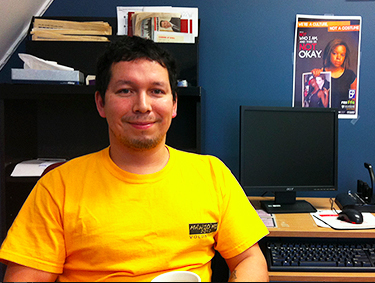 Wilmot is one of approximately 260 students at Dalhousie who identify as aboriginal and he acknowledges it was overwhelming to think of going to university. He sees the number of aboriginal staff in the online directory for Dalhousie and says he would have contacted them before deciding to go. “It will encourage more contact and more knowledge on both ends,” he adds, and that will benefit both the schools and potential students. The platform is part of an effort by all participating universities to address the education gap between aboriginal adults and their non-aboriginal counterparts. Sara Swasson, from the Native Education Counseling Unit at Dalhousie, isn’t sure it will increase the number of aboriginal students enrolling but thinks it will assist them in finding a program that fits. While it’s still in its preliminary stages, Dioury says feedback is welcome and to expect additions to the directory on a regular basis.